OZ Racing Superturismo Dakar has a multi-spoke design especially for SUVs and Big Sedans. OZ Racing Superturismo Dakar is the perfect expression of OZ racing DNA. 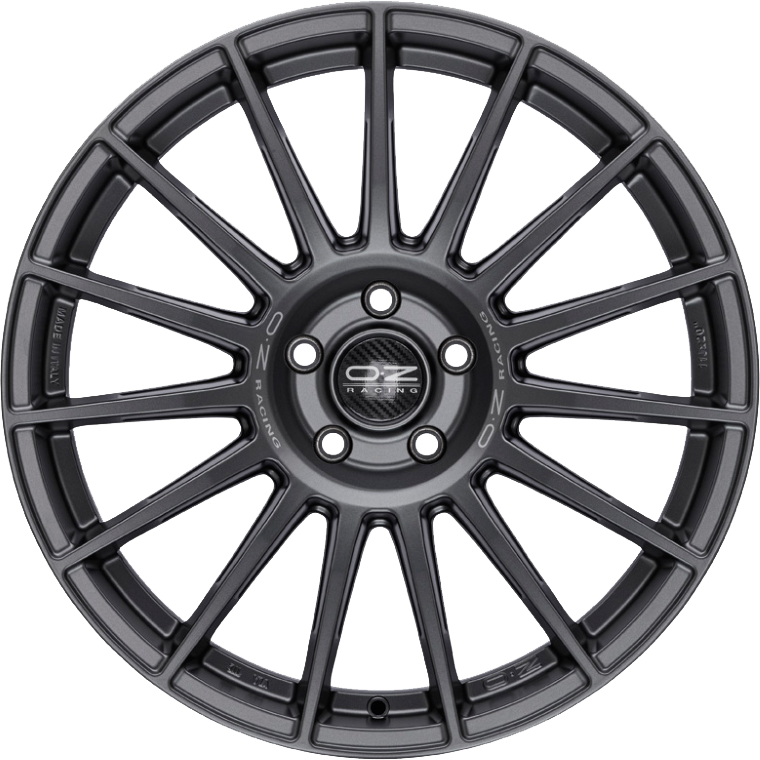 Due to the style of this multi-spoke alloy wheel design with the spokes extending to the edge of the rim it gives the look of an even larger size. Designed in 20" and 21" with a deep rear concavity, it is perferct large SUV's and 4x4 such as the BMW X5, Porsche Cayenne as well as high performance cars from Audi, Mercedes, BMW etc. This wheel is also able to take the OE BMW centre cap. The Superturismo Dakar is available in matt race silver or matt graphite. Like all the OZ wheels, it is TÜV certified.